It was there that Shihan Bowe found himself monitoring Russian radio transmissions in the late 50s and early 60s. To some significant regard at that time, Japanese dojos were flooded with American Servicemen ~ hoping to take advantage of a previously rare opportunity to train in traditional Japanese martial arts. In 2002, Stanley Pranin (of Aikido Journal) interviewed Hiroshi Isoyama ~ who formed an Aikido Club in Chitose when he was stationed in Chitose as a member of the Japanese Self-Defense Force. I find the article extremely intriguing as it is a close link to the time period Mr. Bowe found himself in. As I read the article, I even wonder if Shihan Bowe may have been aware of Hiroshi Isoyama (and possibly trained with him as he was looking for a martial arts school in which to train). I reached out to Mr. Bowe, and he confirmed that he knew Hiroshi Isoyama, and even caught an inadvertent misspelling of the man’s name on my part. Small World. Aikido Journal: I understand that you eventually joined the Japanese Self-Defense Forces. 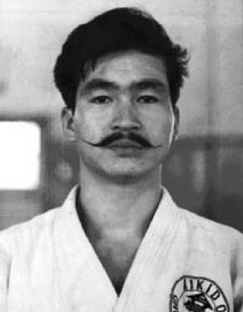 Isoyama Shihan: Yes, I joined the Air Self-Defense Forces and was sent to Chitose Air Base in 1958. (The air base was known as Kuma Station at that time). Did you form an aikido club there in Chitose? Yes. At first my only students were members of the American military police, but eventually I was asked by the commander of the garrison to teach members of the Japanese Self-Defense Forces as well. I learned English then, too, out of necessity. During your recent visit to Los Angeles did you teach in English? Since many of your students among the American military police must have been much physically larger than you, did you have to come up with new ways to make your techniques work on them? I certainly did. Practicing with people like that is completely different from working with people who are smaller than you. Doing even something like ikkyo (Arm Bar) against a much larger opponent is very difficult, especially in terms of the way you have to enter and the timing you have to use. Training with people like that was a great experience from which I learned a lot. My kataguruma and gansekiotoshi techniques (these are Judo techniques), for example, started out with me trying to teach koshinage (Over The Back Throw)1. When I tried to do koshinage on some of the taller men I found that they could just step over me; no matter how I tried the technique, I couldn’t manage to throw them because the height difference meant I couldn’t get my hips into a good position in front of theirs. Then I had the idea to try putting them across my shoulders instead of across my hips, and that’s how I started using those techniques. I wasn’t trying to be rough or flashy, I was just trying to get the techniques to work. Necessity is the mother of invention! What were your training sessions like? Normally during aikido training, you enter and apply your technique as your opponent is moving in with his attack, but when I did that to the Americans, many of them would complain that they weren’t ready yet. They wanted me to let them get a good hold or choke on me and then see if I could still do my techniques. I tried to explain that in a real attack, we wouldn’t allow anyone to lock us up like that, and would instead, as the opponent strikes from the front, move around behind him. In this fashion uke doesn’t have a chance to attack fully in a position of strength. That didn’t convince them though. They wanted to first get me in a tight hold and then challenge me to try to move out of it. In other words, you had to perform under the most difficult possible circumstances. There was one fellow, a wrestler who had placed sixth in the Helsinki Olympics, who rolled onto the ground and wrapped around me from behind so that I couldn’t use my hands or feet, and from that position challenged me to try to move. The only part of my body that was still free was my head, so I snapped my head backwards into his face and struck the bridge of his nose with the back of my head. This is prohibited in wrestling, of course, but such rules don’t apply to budo. As I struck his face I gave a shout and used the momentary opening to get away. I told him, “That’s how budo is!” and he was convinced. That sort of thing happened on a daily basis in our training. But the art wasn’t lost on every American was it? The last time I went to the United States I met one of those former MPs who had been my student. I hadn’t seen him in forty years. After earning his shodan he had returned to the U.S., graduated from a university in Boston, and later served as an officer in Vietnam. After that he joined the FBI where for many years he was involved in studying and teaching arrest techniques, or what we would call “taihojutsu” in Japanese. He used the Internet to help me look up some of the others who had also been my students back then. It’s really wonderful how aikido builds relationships like that. Even if they’re cut off for a while, still they have a way of coming back to you again. 2. 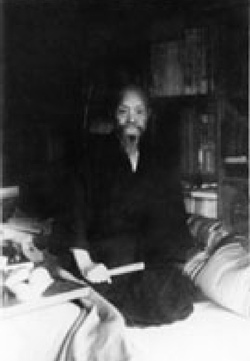 Shodo Morita’s technique apparently placed him ‘beyond ridicule’ as one of the things Shihan Bowe was immediately impressed by when visiting Shodo Morita’s dojo was Master Morita’s students’ ability to throw him (a large American) at will. Kōtarō Yoshida lived on Hokkaido also. 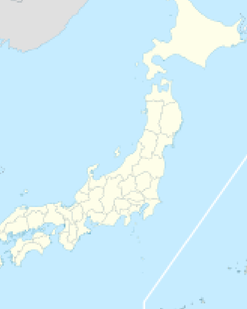 Chitose was not a very large city at that time, and Mr. Bowe recently confirmed to me that he knew Hiroshi Isoyama. “Doing atemi simply for the sake of doing atemi results in nothing but empty form. It’s pointless to perform an atemi unless your strike is the kind of strike that would have a real effect. An atemi doesn’t necessarily have to be a deadly blow, but it should be capable of doing a certain amount of real damage. Also, if you want to think seriously about atemi, you also have to think about kicks. Karate, for example, has excellent striking and kicking techniques. I would say that most karate movement is predominantly straight line, while aikido tends to emphasize more circular or spherical movements. Both of these have strengths and shortcomings and I don’t think you can say unconditionally that one is better than the other.